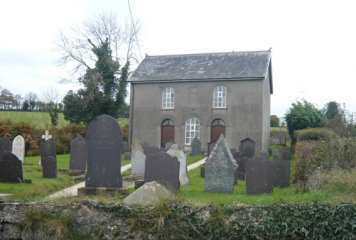 The Unitarian Chapel is the only place of Worship in the village of Alltyblaca. It was established in 1740. It was the sister church of Llwynrhydowen for many years and developed through Arminian, Arian and Unitarian theological stances. The present building was erected in 1837 and restored in 1892. It is built on the same pattern as Rhydygwin and Cribyn, with a gallery on three sides. There is a cemetery and a dwelling house at the entrance which at one time housed the schoolroom on the first floor of the building.